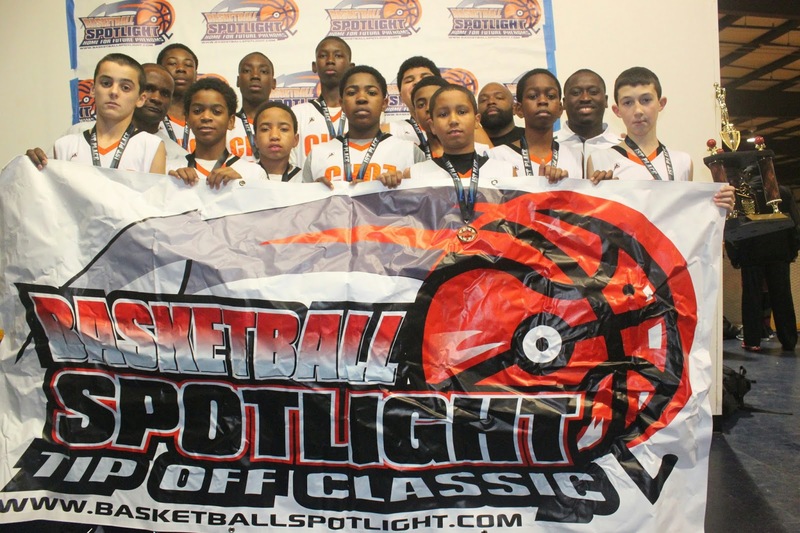 BASKETBALL SPOTLIGHT NEWS: AC Showcase 7th Grade Preview: The Title Is Up For Grabs! 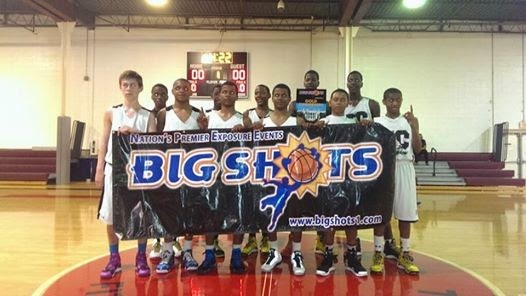 AC Showcase 7th Grade Preview: The Title Is Up For Grabs! The 7th Grade Division at the AC Showcase will feature some of the top teams in the region. This field is deep and talented. Here’s a breakdown of the top teams and players headed down to America’s Playground. Team Takeover: TT won the DMV Takeover and should be ready to continue their hot streak down in AC. Justin Moore, Terrence Williams and Anthony Harris form a great trio while Tyler Brelsford runs the show. They have to be considered one of the favorites for this division. 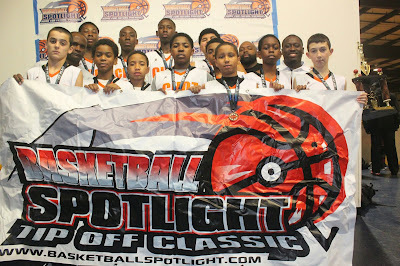 DC Premier: This 7th Grade bunch recently won the Potomac Valley regional championship and a few others. The Mitchell Twins ( Makhel and Makhi) cause problems for most teams they face. They have a great shot of winning it all. Gauchos: The Choz won the Tip Off Classic Blue Division crown but now they are in their with the big boys. Jullien Crittendon and KC Ndefo are the pair to look out for. Don’t sleep on this crew but they might crash the party. Team Final: Fahmir Ali and Khyree Temple have Team Final knocking off opponents and taking home chips. They really have to be considered as the most improved team in the region. The AC Showcase can only add to their achievements. We All Can Go All Stars: Tyger Campbell is considered the best point guard in America for this class. Now he enters the world of Basketball Spotlight and let’s see if he can lead these boys to the crown. The Spotlight pressure can be a different animal at times. Metro Flyers: I’ve been waiting for Metro Flyers to pop off and this could be their weekend. Dajuan Piper, Danny Rodriquez and Barry Evans Jr. are one of the best trios in the region. Now it’s time for them to put some championships behind their name. Team Nelson: The reigning Grand Finale champs are still searching for their first Spotlight championship of the season. Mark Bradshaw and Kasim Tolliver control the backcourt but the player to watch might be Donte Scott. 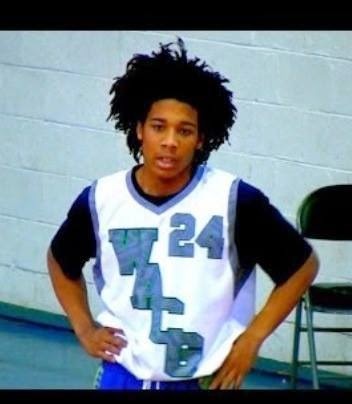 This kid looks better every time he steps on the floor. Expressions Elite: The X missed out on the Clash now they are hungry for some Spotlight action. Deveon Ford and Dyondre Dominguez make it hard for anyone to knock this team off. Dominguez is a budding star on the horizon. Hilltoppers Heat: The Heat have been on a winning streak lately and performed well at the AGame Super Shootout. Now it’s on to the heavyweights. Hopefully they can bang out with the best. New Heights: I’m curious to see this team in action. I heard they added some pieces and I want to see how they gel.